Last time I wrote, I was looking at the situation regarding the future development of games for older Macs. While the outlook may not be so great overall, I'd like to take this column to point out an upcoming game which will support nearly any 68020 or greater Mac. This game is New Centurions from Fantasoft, best known for their RPG, Realmz. There are still more than a couple people developing games for 68K, so what makes this game worthy of a column? 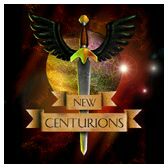 Fantasoft has recently released a test version of New Centurions, which, although hardly complete, allows users to see what the game will be like. They are asking people to try it and then contact Fantasoft with ideas of how the game could be changed or improved. This is a great opportunity for 68K gamers, as well as all interested Mac gamers. Most games have a fairly closed developing and testing process, but Fantasoft has opened up the arena to anyone who is interested. Hopefully a good response will encourage them to continue this in the future, as well as make New Centurions a better game. At this point, maybe I should give a bit of a description of New Centurions. The basic concepts are quite similar to Realmz, and it seems to have been developed using the same engine. For those not familiar with Realmz, it is a role-playing game in which you create a party of adventurers who go out and search the world for fun, similar to most role-playing games. The greatest difference is the setting: New Centurions is set in a futuristic science fiction world, so weapons, monsters, and such are bound to be quite different from Realmz. According to the New Centurions page, New Centurions will also have other differences, although these are currently not specified. I'm not going to waste too much time in a description of New Centurions, especially since it is not finalized. Instead, I'd encourage you to try the test version and take part in the development process if you have any good ideas of how the game might be made better. While I'm on the topic of software for older Macs, I'm going to put in a plug for a non-game which is incredibly useful and has been called the poor man's Photoshop. In fact, some still swear by it when given the choice of Photoshop. The program is GraphicConverter from Lemkesoft. Version 4.0 has just been released, still supporting 68K, but there is speculation that future versions may drop 68K support. If you haven't heard of it but you do any kind of graphical work, I'd highly recommend that you check it out, and if you do use it but have not registered, maybe you should think about registering. Such a high quality product is certainly worth the $35 which is asked for it. Well, that about does it for this time. Maybe I'll do another column on New Centurions once it's been released, but for now, it is back to the old standbys.